ROME ― The long-awaited European medium-altitude long-endurance UAV will rely on the new Galileo satellite system for navigation, but also use GPS as a backup, one of its design partners has said. 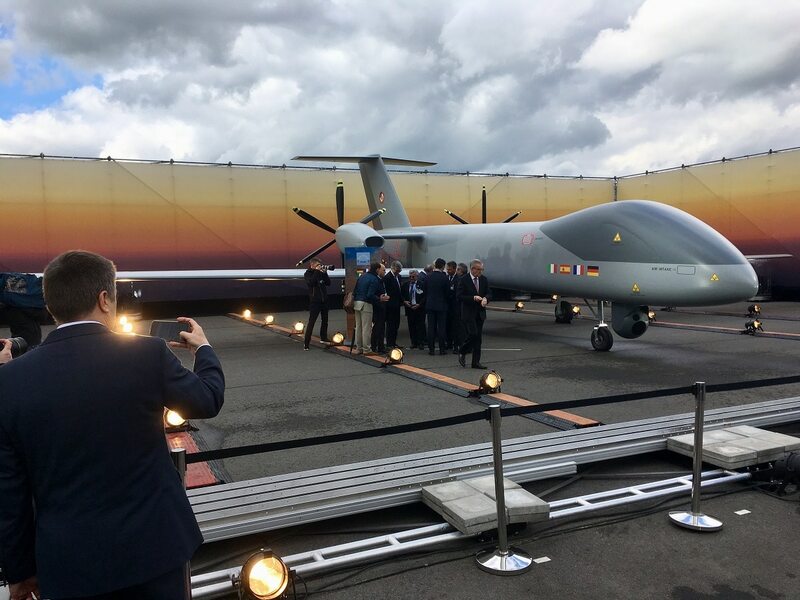 First glimpsed in mock-up form at the Berlin Air Show last month, the “Eurodrone” is being developed by Airbus, Dassault and Italy’s Leonardo in a bid to end Europe’s reliance on U.S. and Israeli UAVs as the bloc aspires to greater defense autonomy. 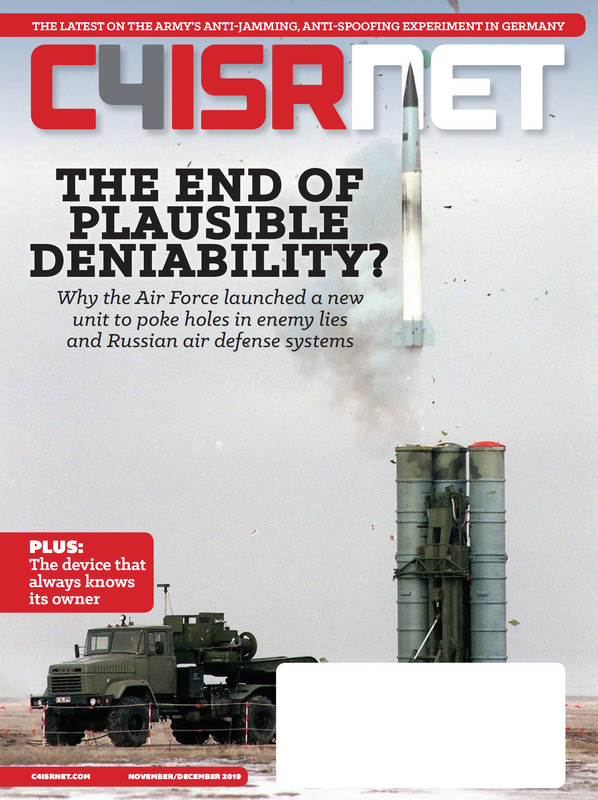 UAVs are only as autonomous as the satellite navigation links they use, and the launch of the Eurodrone has coincided with the introduction of Galileo, the European satellite network that may wean Europe off its dependence on the U.S. GPS system. “The idea is that the drone will use Galileo from the start, and in the initial phase will probably be dual mode, with GPS as a redundancy measure,” said Giovanni Soccodato, head of strategy, markets and business development at Leonardo. With two planned satellite launches on July 25, all 24 of the Galileo satellites will be in orbit, providing a global positioning service and breaking the monopoly held by GPS. Galileo has been providing an initial service since December 2016. When complete, the network will provide a normal service and a Public Regulated Service for government users. The mock-up of the Eurodrone, which features two pusher propellers, is based on a configuration that is due to undergo a “system preliminary design review” at the end of this year. Soccodato said he expected a request for proposals to be issued by Italy, Spain, Germany and France around the end of 2018 or in early 2019. Although Airbus will lead the project, Leonardo will look for a healthy share of mission-systems work, thanks to its experience on the Falco UAV ― which it has sold ― the European Neuron program and the HammerHead UAV being developed by Piaggio, according to Soccodato. The firm is set to group all its UAV work from across its divisions, including unmanned rotorcraft work, in one unit, he added. He said he imagines Leonardo taking a 20-25 percent share of the program, but added that the stake should be a simple reflection of national financial commitments. “I hope we see the new mentality where shares are based on competences, not on money,” he said. Development of the UAV would cost about €1 billion (U.S. $1.2 billion), he said.